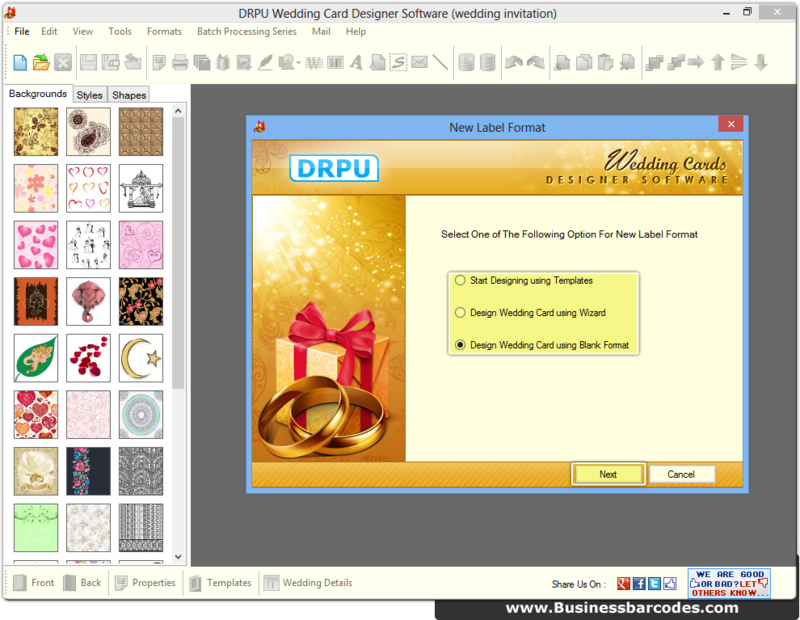 Specify card name, shape, size and type of fold then proceed to next screen. 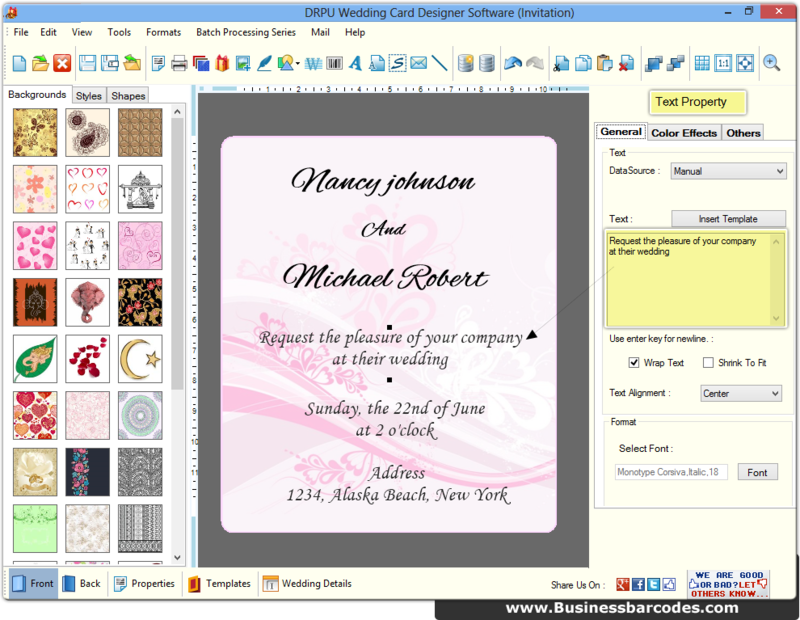 Add background from left panel and text from using drawing tools from toolbar and edit properties by double click on it. 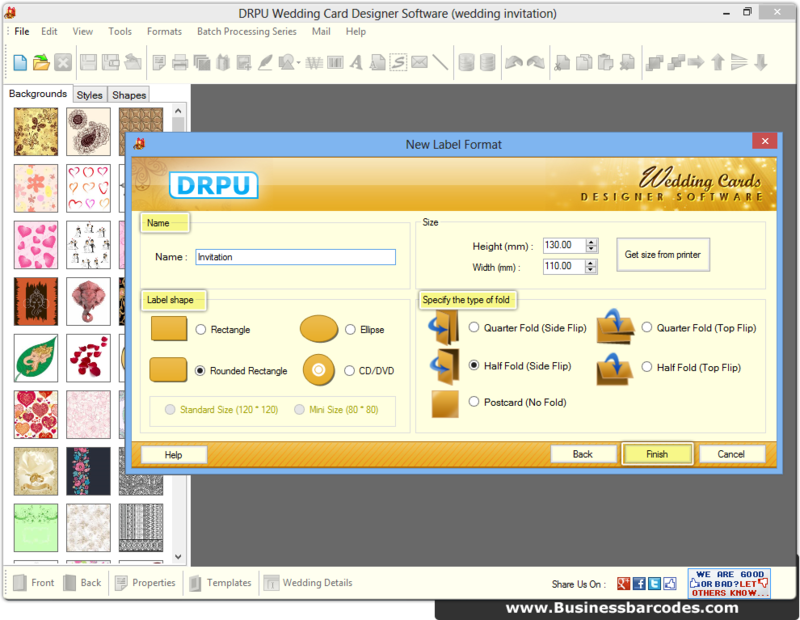 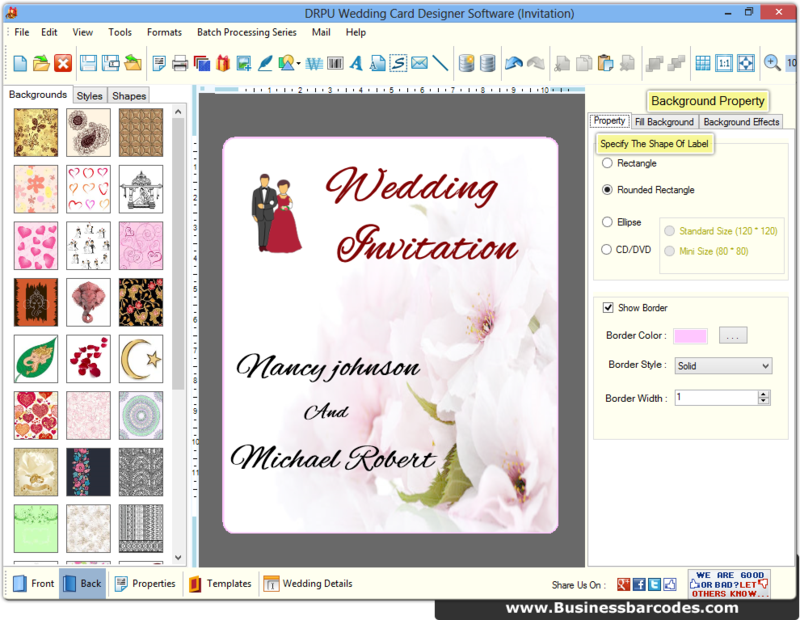 Edit shape of card, border color, style, width using background property.